Born in Tulungagung, East Java, on August 13th 1968. His parents named him Zainuddin. Since his early childhood he already had great interest in paintings. By the time he was in the Elementary School until High School, his life had never been far parted from Arts and Paintings. He was a great admirer of Basuki Abdullah and Leonardo da Vinci. 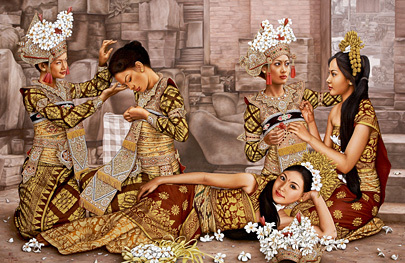 As soon as he finished his Elementary School, he started painting in Malang, Kediri and Surabaya as a commercial artist. He took orders for self portrait, photo paintings, calligraphy, also painting landscape etc. 1989 he completed his high school from STM (Sekolah Tehnik Mesin) in Kediri, East Java. 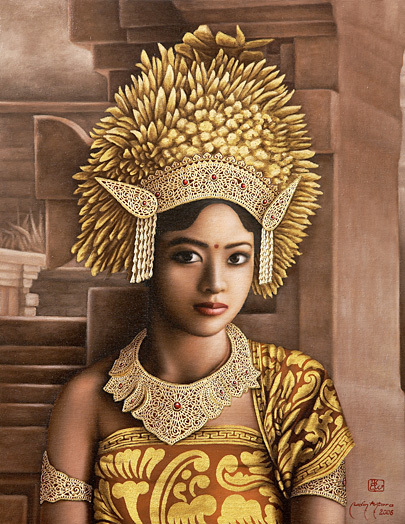 1990 he pursued his art career in Bali. 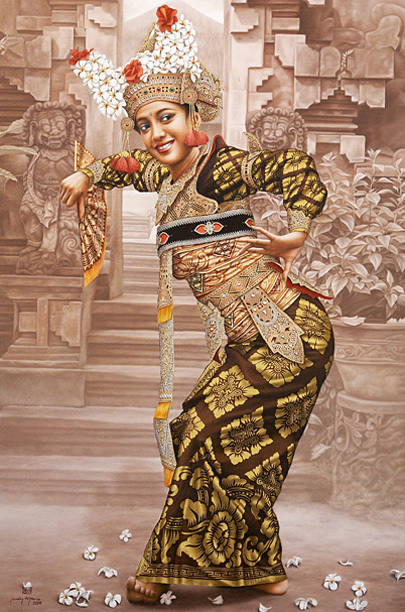 Udin Antara never took any formal education in Art Field, not got any tutor that taught him Arts. So his works are solely based on his great talents. He improved his skills and art techniques through his own experiences and experiments. These were his best educator in Arts. In 1994, after lots and lots of experiments and searches of his own style and identity, he finally developed his Brownish Element Color as his basic characteristic. 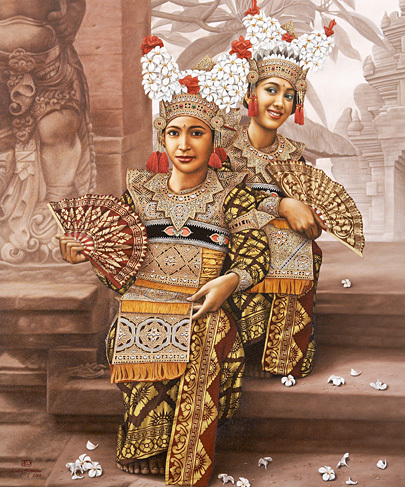 As for the themes, his works were strongly influenced by Balinese Culture especially Balinese Legong Dance which was his favorite object. 2003 Group Exhibition at Zola Zolu Gallery, Bandung.